Long have I enjoyed writing. A scrapbook, a diary, notebook, work record book. There's something so tangible about having put pen to paper in the spirit of the moment and written it, how it is. I kept a personal diary through my teenage years and you can image just how uncomfortable it is to read through that again. The thought crossed my mind to burn them but according to a book expert it's surprisingly hard to do due to the compression of pages. I wouldn't even feel comfortable to shred them, just in case a malicious bin-raider was feeling exceptionally curious about the inner workings of a 15 year old girl's mind. How mortifying. Still, they only serve to remind me how things have changed. 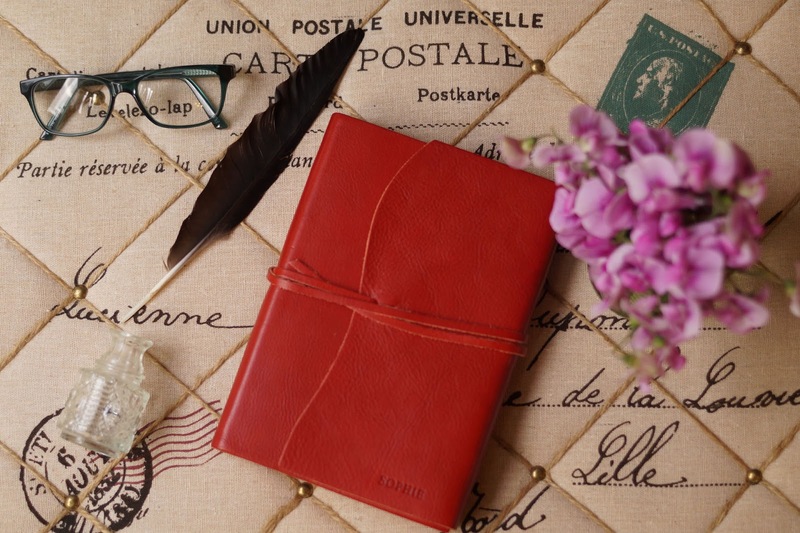 Last week I was sent this utterly divine personalised leather journal for my writing pleasure. Never have I owned something of such high quality to record my thoughts inside, it's almost biblical. 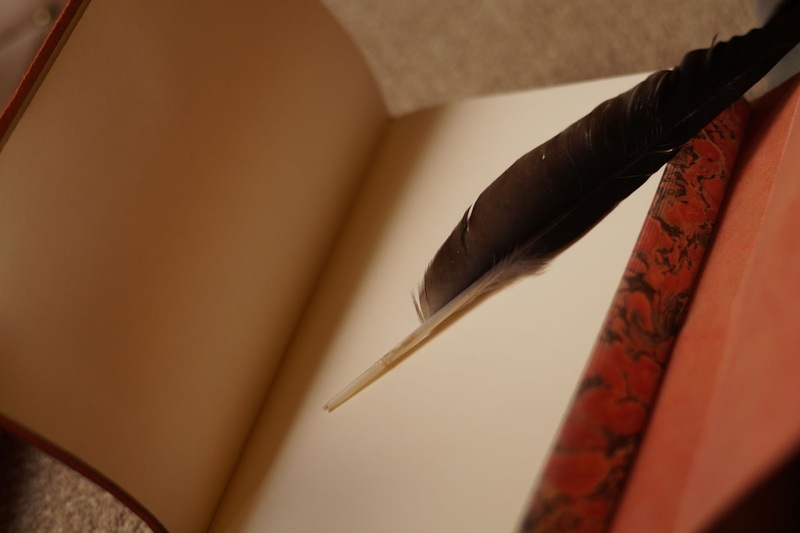 A glorious leather bound beauty of a book, the pages even have stone-marbled edges. For this I have to thank Central Crafts who are a family run business sourcing and making beautiful handmade products, set Hertfordshire countryside which has served as both inspiration for running a firm they're passionate about and selling further afield, to all around the globe. 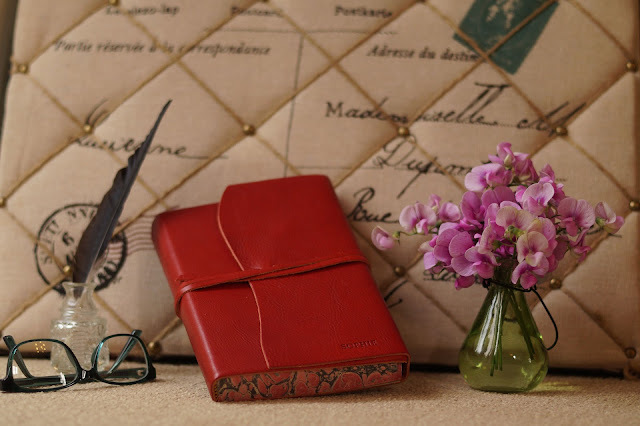 Amongst an array of other pieces for your home and garden are a wonderful collection of journals, this is the Firenze which is handmade in Florence by a small family business who use high quality leather and sustainable vegetable based tanning techniques to bring out the character of the natural material. The end result is not only beautiful but hard wearing too. It's got my name written all over it. (well, the corner certainly does at any rate). The paper inside is plain and acid free which enables a fountain pen to be used and even though my crow's feather is no quill, it reminds me of how we were forced to use fountain pens between the ages of 10 and 13 for seemingly no good reason whatsoever at school. I doubt a soul of us has had cause to pick one up again since leaving. Though in my heart I'd rather like to give calligraphy a go one day; those ornate pages of script used to fascinate me. Maybe one day, one winter, when I'm confined to quarters on dark evenings. You can imagine how delighted I was to open the carefully boxed parcel, open the cotton protective bag and slide out this heavenly book. 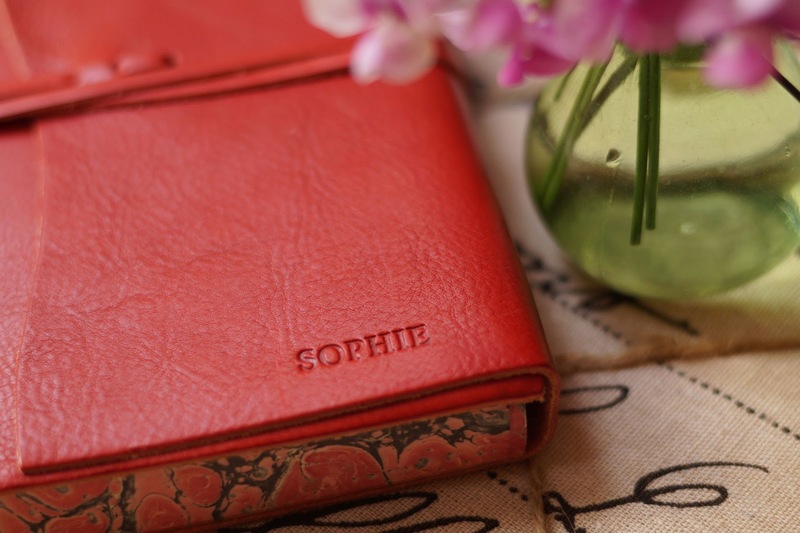 What a timeless gift, especially when personalised for the recipient with their name or maybe a little message. A big thank you to Central Crafts for sending me such a gorgeous gift, I will treasure it and fill it's pages full of thoughts. Oh, I adore this. 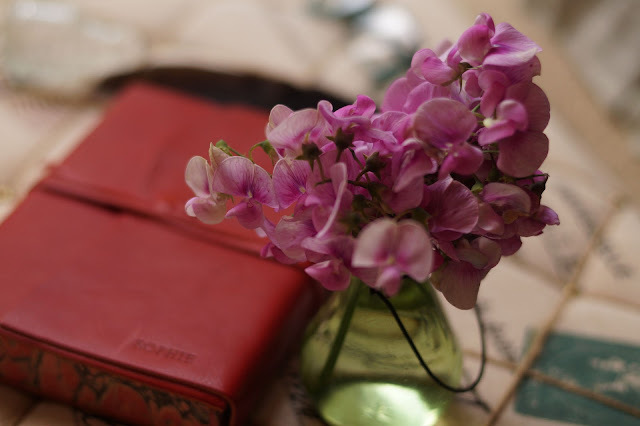 I love writing a diary, it's something I've done since I was a young child, inspired by the diary style books I used to read. P.S. Thanks so much for your comment! I really appreciate your empathy AND sympathy! Whoever has let you down recently, I'm sorry to hear it!